Join 14 Rainbow Divers for a fabulous 14-day dive adventure in the Philippines. We will be exploring three areas of the Visayas (Malaspacua, Cabilao, and Dauin) and experience the variety of diving offered in this part of the world. 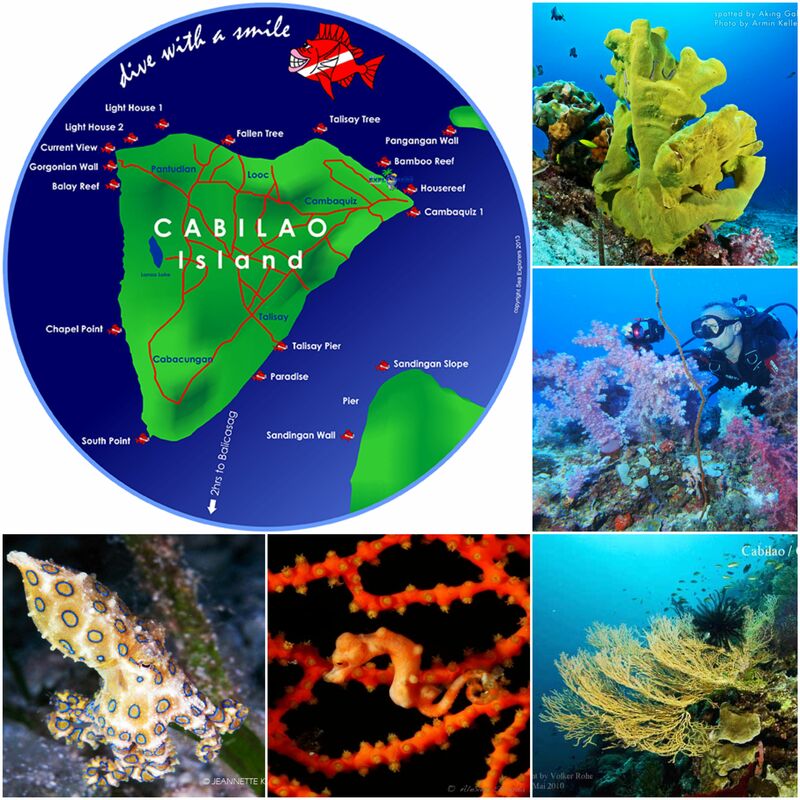 From the thresher sharks of Malapascua and whale sharks of Oslob to the pygmy seahorses and ghost pipefish of Dauin, from the vibrant coral reefs of Cabilao and Apo island to the sandy seafloor and muck of Dauin, this trip is a rare occasion to experience what diving in the Visayas is all about for the price of $2980 based on double occupancy. This price includes lodging, full board, up to 4 guided dives a day when possible, safari guide, all transfers, and most park fees. Prices are based on an exchange rate of 40 PNP per USD. Changes in the exchange rate may have an impact on the overall price of the trip. Getting off and on the banca can be physically challenging. Please consider your physical capability before booking this adventure. Diving conditions are suitable for divers of various experience although some sites are more suitable for experienced divers due to depth and currents. Malapascua is a small island located off the tip of the island of Cebu in the Visayas. Beside white palm-lined beaches, one of the main factors in the popularity of the island is its dive site Monad Shoal. The regular sightings of thresher sharks, a unique species of sharks known for its long dorsal tail and docility made this spot a world renowned dive site. This dive site is deep and requires getting up very very very early (you have been warned) since the best chance to see the sharks is at dawn. 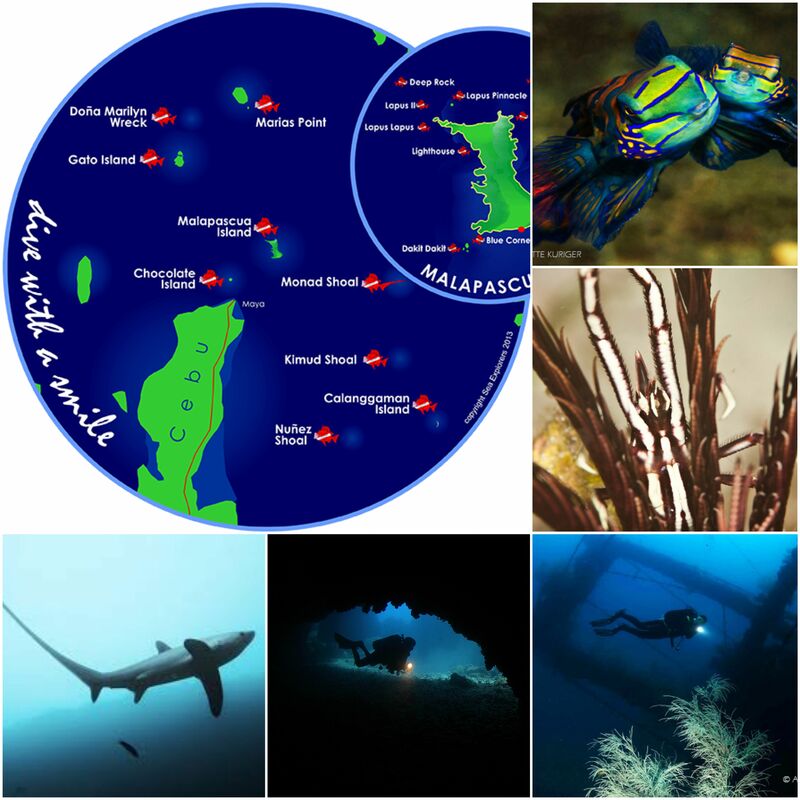 In addition to Monad Shoal, the area offers a number of varied dive sites, including reefs covered in soft and hard corals, muck diving sites for all sorts of weird critters, underwater caves at Gato Island and even the wreck of the Dona Marilyn ferry that sank during a typhoon in 1998. Malaspacua was devastated by the super typhoon Yolanda that hit the Philippines in 2013. Luckily, the reefs suffered limited damage and the thresher sharks are still present at Monad Shoal. The island is recovering well, a testament to the value of scuba diving tourism and protection of the marine environment. 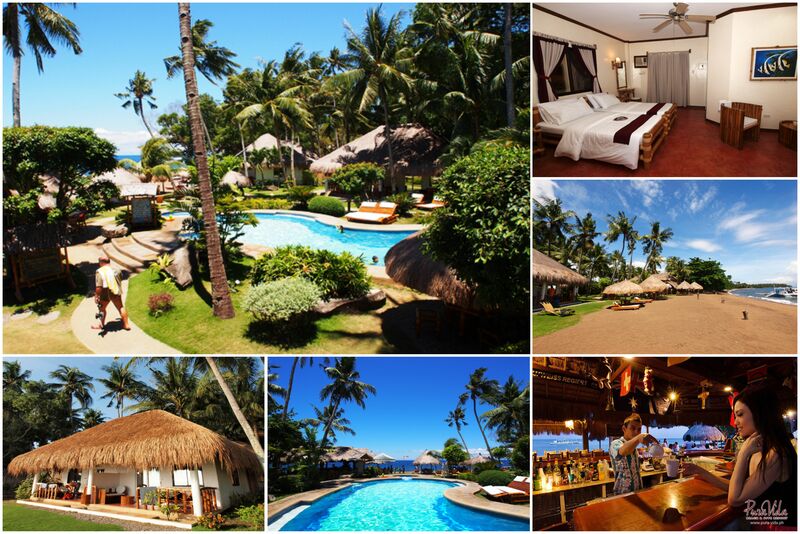 We will be staying at the Ocean Vida Beach and Dive Resort, located on Bounty beach. The rooms are located in a two-story building with great views over the beach and the sea. Rooms are basic but air-conditioned and equipped with 2 beds and a mini bar refrigerator. 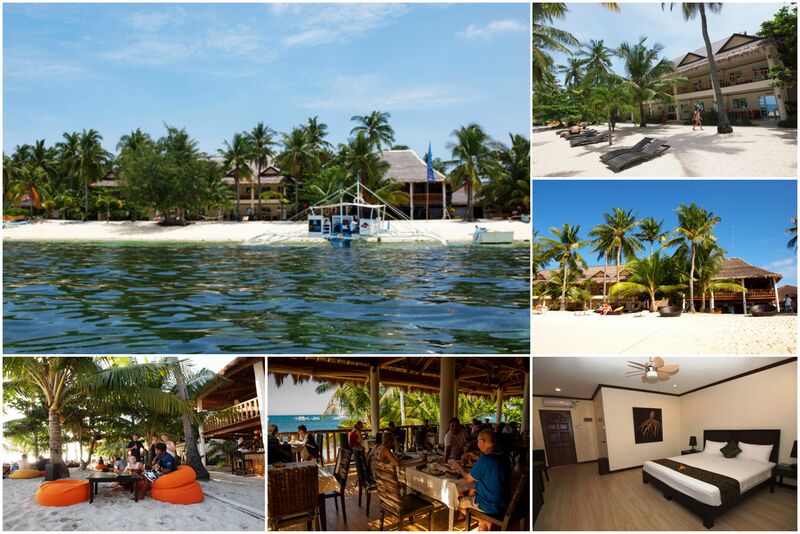 The resort also includes a bar to chill out after the dives, and a restaurant where our meals will be served. Transfer between Malapascua and Cabilao will be through a combination of boat and van, allowing us to enjoy the topside scenery. No diving will be possible during this transfer. 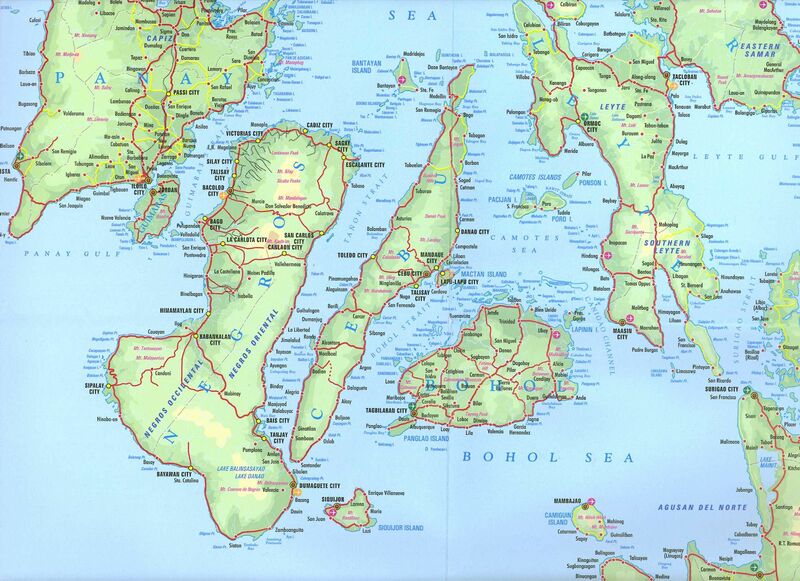 Cabilao is a small island off the west side of the island of Bohol in the Visayas. This small island is off the beaten path, and a perfect place to slow things down combined with world class diving. Sloppy reefs and walls with colorful soft corals are the perfect refuge for a number of interesting species such as pygmy seahorses, frogfish, scorpionfish, ghost pipefish, and many species of crabs, shrimps and nudibranchs. On Cabilao, we will be staying at Pura Vida Cabilao on the north-eastern tip of Cabilao Island. The rooms are located on top of the cliff in a one-story building. Each room has its own terrace offering a stunning view over the Bohol Sea to Pangangan Island. The basic rooms are all equipped with 2 beds, hot shower, and air conditioning .In addition to the restaurant which is built on top of the cliff with view over the Bohol Sea, there is also a bar directly at the beach to chill out after diving. For your full relaxation the resort also offers a small massage center. 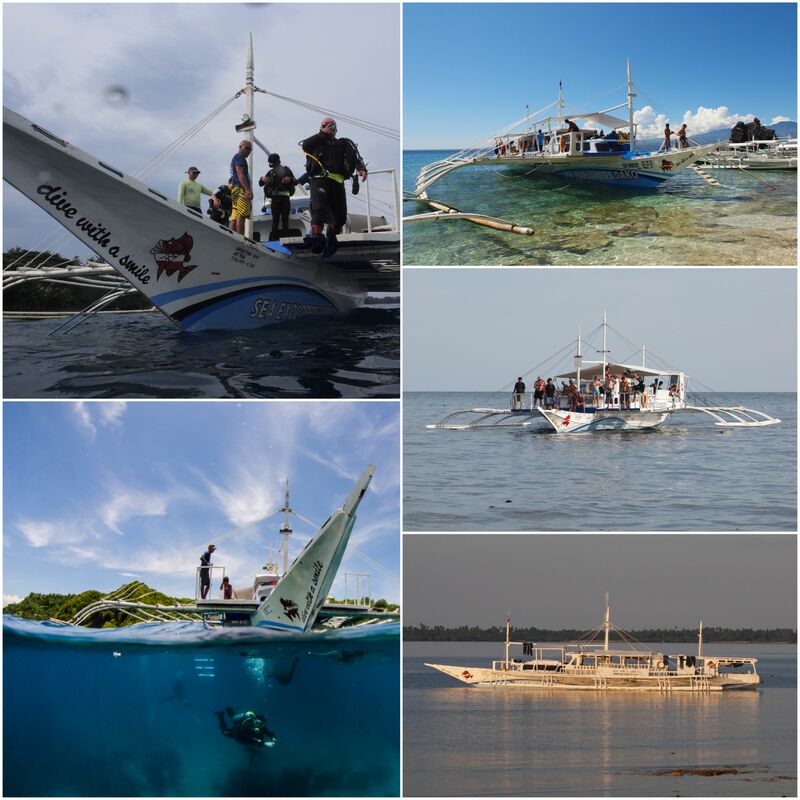 Transfer between Cabilao and Dauin will be done using our dive banca. 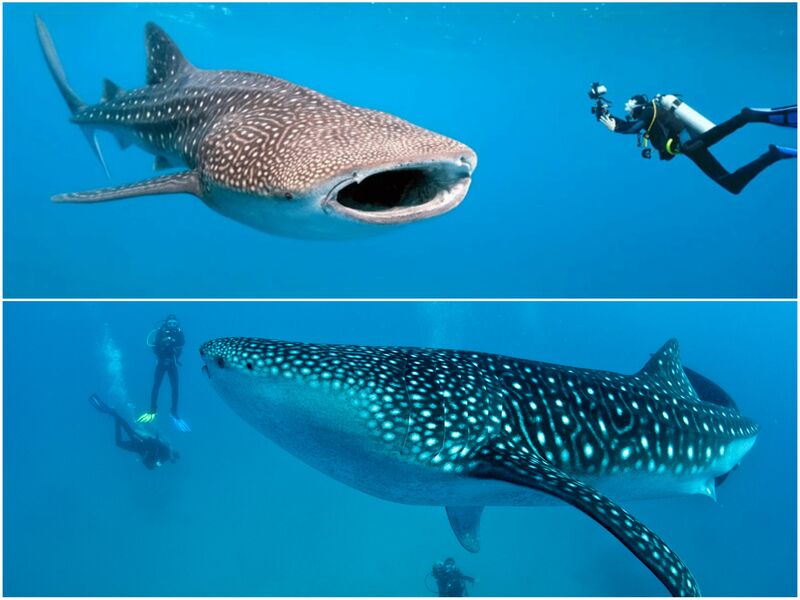 On the way, we will make a stop in Oslob on the island of Cebu to dive or snorkel with the whale sharks (additional park fees apply). Dauin is located on the south eastern coast of the island of Negros in the Visayas. Dauin is known the world over for its muck diving where one can find a lot of unusual critters living on sandy bottom and in 'artificial man-made structures' (aka trash) such as mimic octopus, flamboyant cuttlefish, rhinopias, seahorses, ghostpipefish, seamoths, various types of frogfish, and many crustaceans. Dauin is a true macro photographer paradise. If you get tired of the muck, a short boat ride away is famous Apo island with its impressive coral reef and fish life. 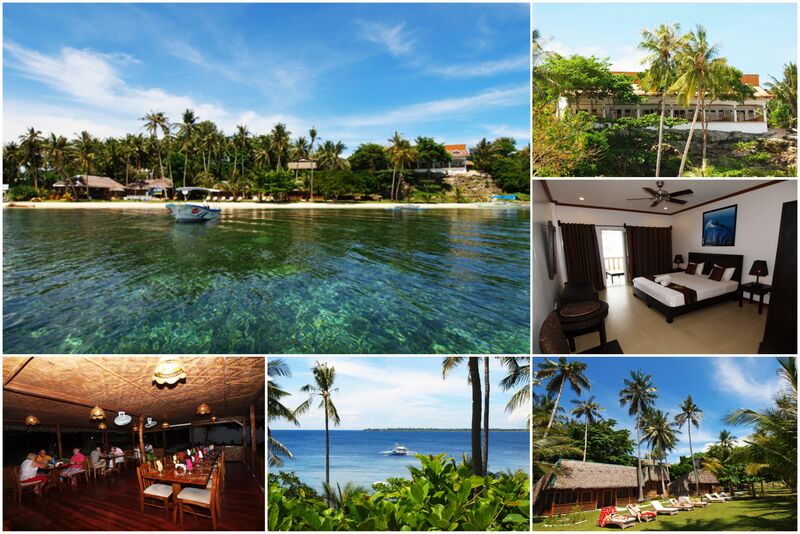 In Dauin, we will be staying at Pura Vida Beach and Dive Resort. The rooms are located in double bungalows around the pool area toward the beach front. The rooms are equipped with air conditioning, flat screen TV and minibar-refrigerator and available with either 2 single beds or one large bed. The restaurant is located on top of the Sea Explorers dive center directly at the beach and next to the Beach-Bar, and the pool. For pampering your body the resort has also a spa area. We will have our own banca from where all the diving will take place. Bancas are simple and rugged outrigger boats used throughout the Phillipines. Up to 4 dives a day will be possible, including night dives. Diving conditions are suitable for divers of various experience although some sites are more suitable for experienced divers due to depth and currents. Water temperature at this time of the year usually range between 80 and 86 degrees F. The month of May is the end of the dry season in the Philippines. We have selected Sea Explorers as the operator for this trip. Sea Explorers Philippines is owned by Chris Heim, Rolf Muehlemann and Herve Jain, and has been in business since 1989. 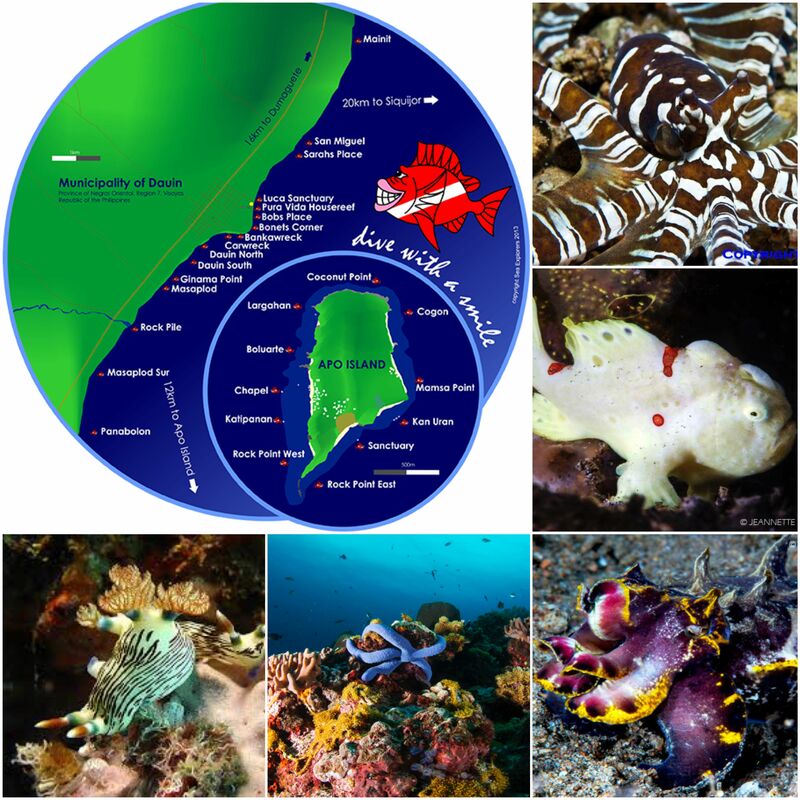 Chris Heim opened his first Sea Explorers Dive Center on Alona Beach in Panglao, Bohol. Exploring further the dive sites in the Visayas, Sea Explorers opened dive centers in Cabilao followed by Dauin and finally Malapascua. Dive groups are arranged so that each guides will not accompany more than four guests per dive. Dive guides hold a briefing before each dive about the topography, the flora and fauna, currents, maximum depth and safety measures. There is no unnecessary restrictions on diving as long as water, weather and transfer conditions allow it, except that recreational diving limits should be respected. Before every dive, boats are loaded with a set of spare equipments, safety equipment including 1st aid kit, oxygen, VHF, and cell phones. Dive staff has to undergo a yearly rescue training to provide the maximum possible safety. Cebu Mactan International Airport is served by various airlines from Manilla (Cebu Pacific, Philippines Air), as well as from Hong Kong (Cathay Pacific, Cebu Pacific), Singapore (Cebu Pacific, Silk Air), and Seoul, South Korea (Korean Air; Cebu Pacific). You will need to arrive in Cebu before 1:00PM local time on May 14 to allow for transfer to our first destination on the same day. If not possible, you will need to spend the night in Cebu at your expense. On our last day, we should be arriving in Cebu on May 28 at around 11:00AM. Again, depending on our flight schedule, you may need to spend the night in Cebu at your expense. DO NOT MAKE ANY TRAVEL ARRANGEMENTS WITHOUT CONTACTING THE TRIP LEADER FIRST. Divers must agree to NCRD's Event Terms and Conditions and the liability release to participate in this trip.